Awards are given in three categories: New Construction, Renovation, and Interiors. The highest design award bestowed by AIA Memphis is the Design Award of Excellence, followed by the Award of Merit, and then the Citation Award. The Design Awards are presented along with the Francis Gassner Award at the annual Celebration of Architecture Gala. We celebrated the AIA Memphis 2014 Design Award recipients at the South Main Trolley Night exhibit and reception in April, 2014. Winners were announced at the Celebration of Architecture Gala on Saturday, April 26, 2014. 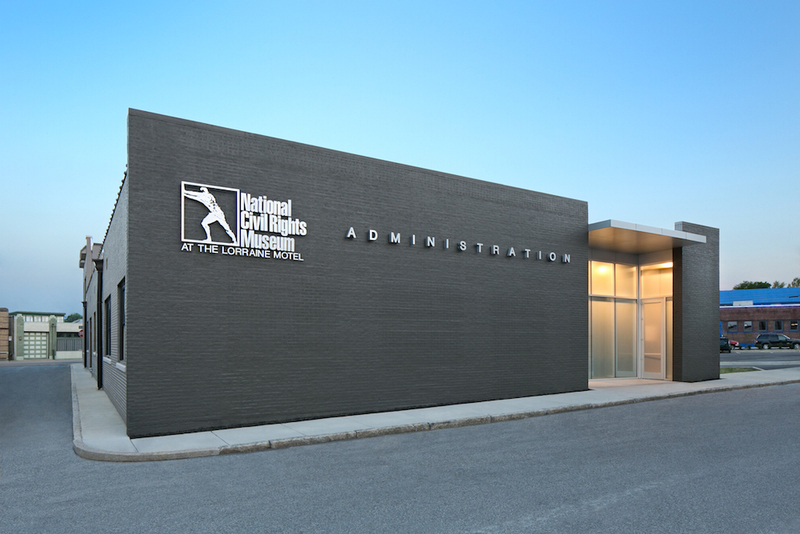 The administrative offices for the National Civil Rights Museum developed from a need to relocate offices during the museum’s 20th anniversary renovations. An adaptive reuse of a dilapidated 1947 infill building, situated within a national historic district, accommodated a small architectural firm’s home office. 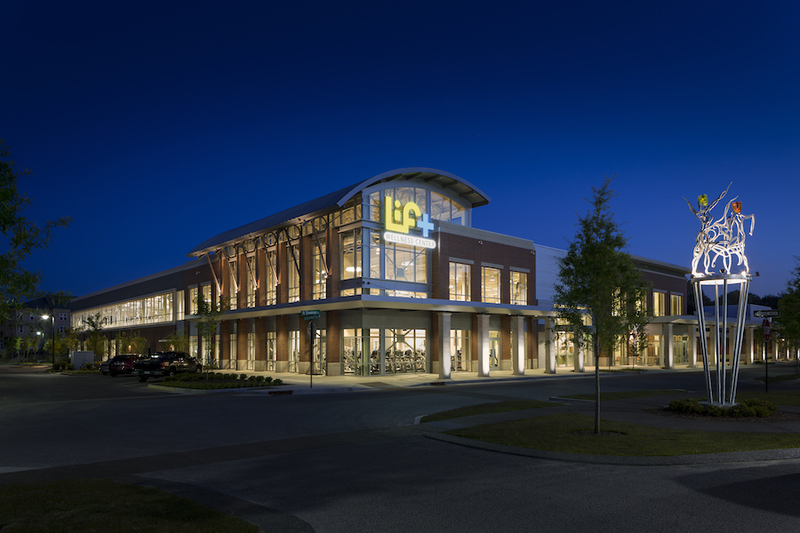 The LIFT Wellness Center is part of an initiative that seeks to promote healthier lifestyles by using education, physical activity, and nutrition to improve overall health and wellness. 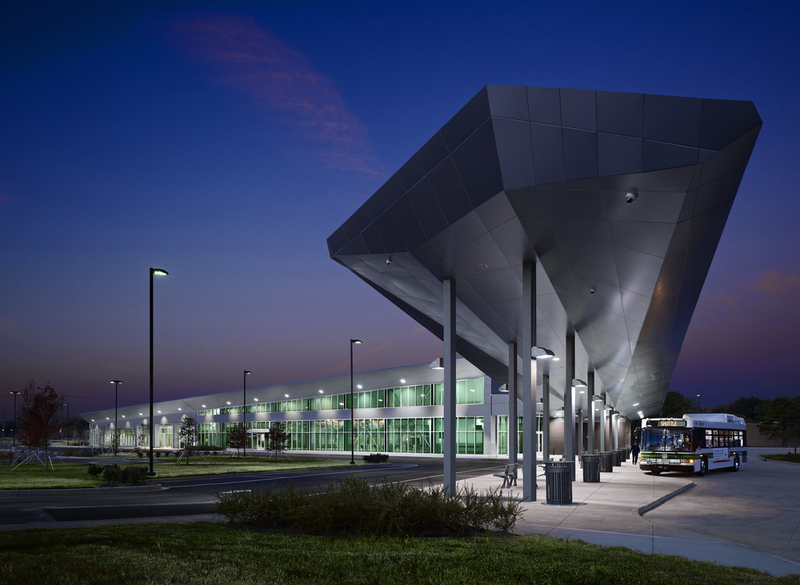 Combining pedestrian, bike, public vehicular, bus travel and future light rail, MATA Airways Transit Center’s main function serves as a shared waiting room for multiple, transit-oriented tenants. The Waterset Welcome Center addresses the needs of community and civic placemaking within the context of a new regional residential community. The design and restoration preserved the former US Custom House, Court House and Post Office building’s historic environment, modernized all of its systems, and adapted it for its new educational mission. The 2015 AIA Memphis Design Awards jury was selected from among the top architects and designers in Dallas, TX. A Dallas, Texas native and 1992 graduate from the University of Texas at Austin, Bob is active in the Dallas Center for Architecture, the Dallas Chapter AIA, currently serving on the Board of Directors, and is the Digital Communications Committee Chair at the Texas Society of Architects. In 2009, Bob received the ‘AIA Dallas Young Architect of the Year’ award for his contributions to the profession. A design principle and partner at Michael Malone Architects (in the process of being renamed Malone Maxwell Borson Architects) his Dallas firm was awarded the ‘AIA Dallas Firm of the Year’ award in recognition of service to the profession. Since January 2010, Bob has written and maintained the website ‘Life of an Architect’ which is currently the most trafficked privately maintained architectural website in the world. He has presented at multiple state and national AIA conventions on a wide array of topics related to digital communications as they relate to the architectural community. Bob also runs and manages an international playhouse design competition for a Dallas charity that benefits abused children. Duncan is co-founder, President and CEO of Good Fulton & Farrell, a 100-person architectural firm, currently ranked the #1 business firm in the United States by Architect magazine, GFF is a multidisciplinary firm with completed work throughout the United States and in several foreign countries. Duncan’s architectural work is diverse, with a recent emphasis on corporate and cultural projects. His corporate work includes Pizza Hut’s World Headquarters, Nokia Americas Headquarters Capital One’s North Texas Campus and regional headquarters for MedAssets and McAfee. He has worked for many of Dallas’ most notable cultural institutions, including the Perot Museum of Nature and Science, the AT&T Performing Arts Center, the Dallas Zoo and the Dallas Arboretum. The Dallas Arts District has been a particular area of influence, where he has worked continuously since 2004 on a variety of projects. Duncan has served as President of both the Dallas AIA and the Dallas Architectural Foundation, and on the boards of the Texas Society of Architects and the University of Kansas School of Architecture. Civic activities include the AT&T Performing Arts President’s Advisory Board, Vice-Chairman of Methodist Health System Board, Chairman of the Board of Trustees of Highland Park United Methodist Church, the Dallas Assembly (Board Member), The Real Estate Council (Board Member), the Salesmanship Club and the City of Dallas Urban Design Advisory Committee. He has written and lectured on a range of subjects including architectural design, planning policy, the Dallas Arts District, training facilities, historic preservation - and most recently sustainable design. Sean is a licensed architect in the State of Texas and partner with Mitchell Garman Architects. Sean has been practicing architecture and design since 1993 and his passion for high quality design and sustainability stems from his professional experience as well as his education at Montana State University where he received his Bachelor and Master of Architecture degrees. Having a vast array of experience, Sean’s areas of focus range from restaurants and commercial projects to interiors and custom residential. Previously, as Senior Associate and Sustainable Design Leader for PERKINS+WILL - Dallas, Sean facilitated the sustainable strategies on a vast array of project types including healthcare, K-12, Civic and Interiors. Sean’s primary concentration was in the higher education market with a particular interest in sophisticated science/laboratory buildings. 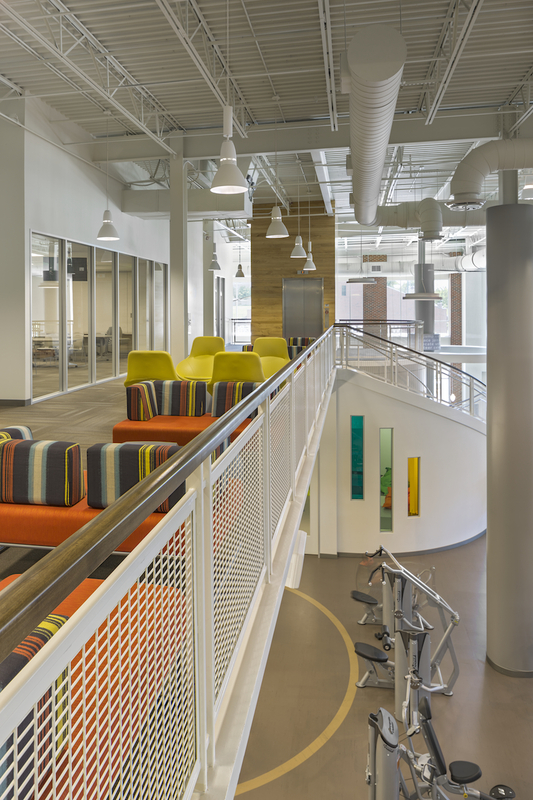 Sean was instrumental in the design of the first two LEED Platinum certified higher education projects in the State of Texas, as well as several other Gold and Silver certified projects. As a highly-lauded fixture in the local community, Sean is currently serving a second term in two industry organizations: The Dallas Architecture Forum, Board of Directors and the Dallas Chapter of the American Institute of Architects, Officer of the Executive Committee/VP Programming. As a principal with Brown Reynolds Watford Architects, Lisa is both principal and studio director for K-12 and University Projects. Under her studio leadership, BRW has completed projects across the state including DCCCD's El Centro West campus, Texas A&M Liberal Arts and Humanities Building, various K-12 projects, including Fort Worth ISD's first CHPS Verified school, John T. White Elementary and Dallas ISD's Thelma Richardson Elementary. Lisa is a graduate of the University of Michigan where she received a Bachelor of Science in Architecture followed by a Master of Architecture. Over the past two decades Lisa has been involved in a number of leadership roles within AIA including her current position as AIA Dallas President, and formerly VP Programs/Secretary, Gala Chair, Commissioner of Communications, and Design Awards Committee. Other affiliated professional organizations include the Dallas Architectural Foundation, Dallas Urban Design Advisory Committee, and most recently as 2012 president of the North Texas Chapter of the Council of Educational Facility Planners International (CEFPI). Lisa resides in the Lake Highlands area of Dallas with her husband of 31 years Robert W. Lamkin, AIA and daughter Elyssa. Marcel is an award-winning preservation architect with over thirty years of experience in the profession, and fifteen years in the areas of preservation architecture, planning and architectural history. She has led the restoration of both large and small projects that include the Hall of State in Fair Park, a National Landmark in Dallas, and smaller projects such Nash Farmstead and the 1847 Sharrock farmstead in Dallas. Committed to the rehabilitation and adaptive re-use of historic structures and the role they can play in today’s communities, she has conducted condition assessments of historic structures, determined appropriate uses and consulted on applicable local and federal incentives for historic properties. Marcel frequently advises communities in improving their historic preservation programs, providing historically sensitive solutions that preserve historic fabric while allowing buildings to function and remain relevant for the long-term. She has received many awards for her work from organizations such as AIA Dallas, Preservation Texas, Preservation Dallas, GSA, Kansas City AIA, New York Landmarks Conservancy, and the National Trust for Historic Preservation. She formerly served on the National Trust’s Board of Advisors, and has received Preservation Dallas’ highest honor – the Dorothy Savage Award for Excellence in Preservation.